G. Alterovitz, M. Xiang, J. Liu, A. Chang, and M. F. Ramoni, "Discovering Biofluid Biomarkers Using an Information Theoretic Proteomics Framework," Proceedings of the Pacific Symposium on Biocomputing, 2008 (In press). G. Alterovitz, M. Xiang, I. S. Kohane, and M. F. Ramoni, "Mass Similarity Shapes Protein Interaction Networks and Is Conserved Across Evolution," PLoS ONE, 2007 (In Press). J. L. Maron, K. L. Johnson, D. Slonim, C. Q. Lai, M. Ramoni, et al., "Gene expression analysis in pregnant women and their infants identifies unique fetal biomarkers that circulate in maternal blood," J Clin Invest, vol. 117, pp. 3007-3019, Oct 1 2007. G. Alterovitz, T. Muso, P. Malalur, and M. F. Ramoni, "A Systematic Approach to Quantifying Evolutionary Functional Trends Across the Universal Tree of Life," Proceedings of the IEEE 7th International Symposium on Bioinformatics and Bioengineering (BIBE), 2007. G. Alterovitz, E. Lyashenko, M. Xiang, and M. F. Ramoni, "Linking Protein Mass with Function via Organismal Massome Networks," Proceedings of the IEEE 7th International Symposium on Bioinformatics and Bioengineering (BIBE), 2007. G. Alterovitz, J. Liu, E. Afkhami, and M. F. Ramoni, "Bayesian methods for proteomics," Proteomics, Jul 24 2007. G. Alterovitz and M. F. Ramoni, "Bioinformatics and Proteomics: An Engineering-Based Problem Solving Approach," IEEE Transactions on Education, vol. 50, pp. 49-54, 2007. G. Alterovitz, M. Xiang, M. Mohan, and M. F. Ramoni, "GO PaD: The Gene Ontology Partition Database," Nucleic Acids Res, 2007. M. Aivado, D. Spentzos, U. Germing, G. Alterovitz, X. Y. Meng, et al., "From the cover: Serum proteome profiling detects myelodysplastic syndromes and identifies CXC chemokine ligands 4 and 7 as markers for advanced disease," Proc Natl Acad Sci U S A, vol. 104, pp. 1307-12, Jan 23 2007. G. Alterovitz, V. Muralidhar, and M. F. Ramoni, "Gene Lethality Detection and Characterization via Topological Analysis of Regulatory Networks," IEEE Transactions on Circuits and Systems I, vol. 53, 2006. G. Alterovitz, T. Muso, P. Malalur, and M. F. Ramoni, "Functional protein information across space and time," Proceedings of the IEEE Information Theory Workshop, Lake Tahoe, CA, 2007 (Invited). G. Alterovitz, E. Lyashenko, M. Xiang, and M. F. Ramoni, "Functional Enrichment Across Organism Massomes," in RECOMB, Oakland, CA, 2007. G. Alterovitz, "Information Theory Applications in Bioinformatics," Proceedings of the Information Theory Applications Workshop, San Diego, CA, 2007 (Invited talk). C. Wood and G. Alterovitz, "Fundamentals of Design for Synthetic Biology," in Systems Bioinformatics: An Engineering Case-Based Approach, G. Alterovitz and M. F. Ramoni, Eds. New York: Artech House, 2007. V. Muralidhar, G. Szabo, and G. Alterovitz, "Topological Analysis of Biomolecular Networks," in Systems Bioinformatics: An Engineering Case-Based Approach, G. Alterovitz and M. F. Ramoni, Eds. New York: Artech House, 2007. M. Aivado, D. Spentzos, F. Grall, H. H. Otu, G. Alterovitz, et al., "Optimization and standardization of SELDI-TOF MS-derived protein profiles from hydrophobic ProteinChip arrays," in German, Austrian, and Swiss Societies of Hematology and Oncology (DGHO), Innsbruck, Oct 2004. Alterovitz G, Aivado M, Libermann T, and Ramoni M, "Noise Characterization in Biological and Technical Replicates for Surface-Enhanced Laser Desorption/Ionization Time-of-Flight Mass Spectrometry," 6th Annual Conference on Computational Genomics, Boston, MA, 2003. Feldman H, Alterovitz G, Plaskos N, and Hogue C. "A Potential to Predict Protein Thermostability Derived from the Genome of Methanococcus jannaschii,� Journal of Microbial and Comparative Genomics, Vol. 3, No. 4, C-27, 1998. Mouchawar G, Street A, Alterovitz G, Tchou C, Badelt S. "Sural Nerve Sensory Thresholds of Defibrillation Waveforms,� Journal of the American College of Cardiology, Vol 31/2A, 373A, Feb. 98. 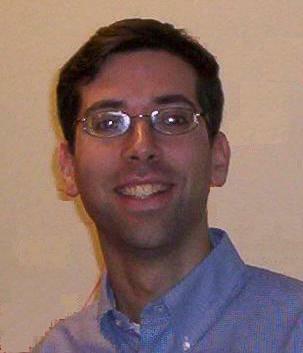 G. Alterovitz, "Bayesian Methods in Proteomics," in Bayes Boot Camp, Boston, MA, 2006. Alterovitz G. and Morley M., "US-Canadian Medical Research and Health Care Policies: Perspectives from Recent Fulbright Scholars,� March 8, 2000, MIT. Alterovitz G. (USA speaker). "A Look at US/Canadian Differences,� Sundial Inn, Rotary Club (Orillia, Canada Chapter), Feb. 20, 1999. Alterovitz G. "The Fulbright Program Experience: A Fulbrighter's Perspective. In commemoration of 50 years of Fulbright Scholarships (1948-49/1998-99)," International Student Center, Feb. 3, 1999. Alterovitz G. "1997 Patterson Prize Acceptance Talk,� Pittsburgh Athletic Center, May 1997. G. Alterovitz, "A Bayesian Framework for Statistical Signal Processing and Knowledge Discovery in Proteomic Engineering," in Electrical and Biomedical Engineering Cambridge: Massachusetts Institute of Technology, PhD Thesis, 2005. G. Alterovitz, "Temporal Characterization of Patient State with Applications to Prediction of Tachycardia in Anesthesia via Induction of Inhaled Desflurane," in S.M. Thesis, Electrical Engineering and Computer Science Cambridge, MA: Massachusetts Institute of Technology, 2001. G. Alterovitz, M. Kellis, and M. F. Ramoni, "6.092: Bioinformatics and Proteomics: An Engineering-Based Problem Solving Approach," Retrieved September 20, 2005, from MIT OpenCourseWare site: http://ocw.mit.edu/OcwWeb/Electrical-Engineering-and-Computer-Science/6-092January--IAP--2005/CourseHome/index.htm, April 22, 2005 2005 (Electronic Media). Alterovitz G. (Front Cover Story). "From Windows to Supercomputing," Cross Platform Strategies, Winter 1995. Alterovitz G. "Northern Reflections," Attach�, Vol. 2, No. 1, 2000. Alterovitz G. "Life Sciences Workbench Data Analysis Toolbox for Excel," HMS Beagle, Issue 36, Aug. 1998. Alterovitz G. "ISIS/Draw," HMS Beagle, Issue 18, Oct. 1997. Alterovitz G. "The Internet Revolution and its Affect on the Medical Profession,� MacNet, Feb. 1996. 50+ articles in city-based and/or AP-affiliated newspapers. Copyright (c) 2004-2006. All Rights Reserved.